Family gaming expert weighs in on the battle of the collectible games. 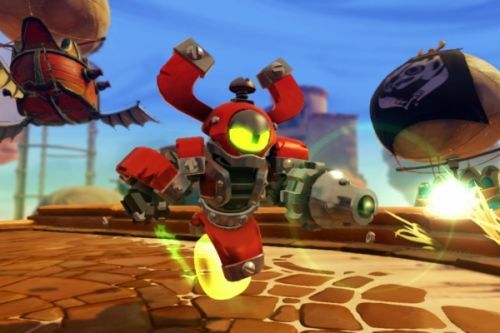 Recently I’ve spent quite a bit of time comparing Skylanders Swap Force and Disney Infinity of late, but one area I’d not considered in detail was their co-operative features. What better place than Co-Optimus to get to grips with what these two toy-meets-game titles have to offer. Although I suspect that most people by now understand how this genre of video-games works, let’s get some of the basics under our belts first. The novelty revolves around a two-way relationship between the game and the toy-figures. Place the figures on a USB peripheral and they appear in the game instantly, no wires or button pressing required. Similarly, remove the figure from the portal and it takes with it progress saved in the game, economy, upgrades and those all important hats and outfits. For hard-core gamers this is something of a double edged sword as they can’t access all the content on the game disc without buying a lot of these figures -- which in some ways amount to a physical DLC token. However to see this transaction in purely on-screen terms is to miss the value of the toy itself. For families a part of the success of Skylanders and the enthusiasm for upcoming Disney Infinity is that the physical toys are worth buying in their own right. They are of a high enough quality, in terms of materials used, paint passes and design, to spark the imaginative play on the bedroom floor of the (younger) player. 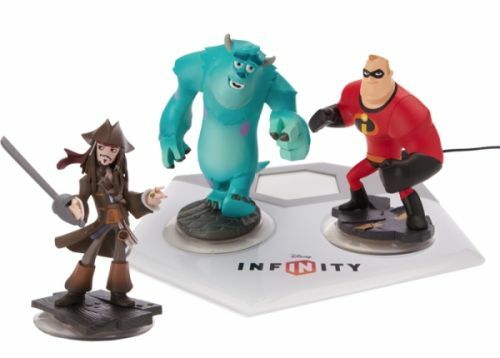 There are Starter Packs for both Disney Infinity and Skylanders Swap Force that will offer everything you need to play co-operatively through the main adventure. In addition to this the experience can be extended by purchasing more toys. Disney Infinity works this angle a little harder as you can buy complete new adventures in the form of play-sets. Skylanders in particular takes “couch co-op” up a notch as players not only get to elbow each other in the ribs if they aren’t doing well enough, but also run off with/hide/dismember their toy figures - - something that will raise a smile for any family trying to play Skylanders with infants in the house, who soon realise the power of those little plastic figurines. This physical nature adds substance to the local co-op experience. Even before the game loads players will have their collection laid out in front of them, ready to call upon when the need arises. It’s as reminiscent of table-top board games as it is a video-game and the toy-lines certainly play to this strength. Skylanders Giants intensified this aspect of the game by introducing Giants like Bouncer and Treerex that were double the height of the original figures, as well as Light-up Light Core characters that illuminated when you place them on the portal. Which characters were used at which stage of the game became more tactical, particularly on the “Nightmare” difficulty level. 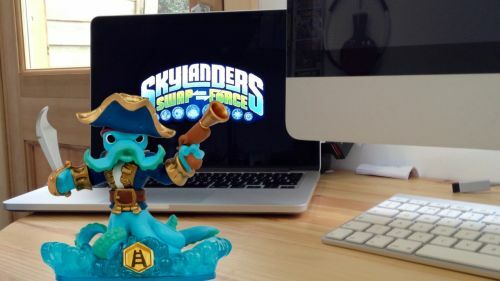 This year Skylanders returns with Swap Force figures that promise to increase the collaborative nature of the game even further. You see, each of these figures comes apart at the middle and can be mixed and matched with each other. Placing these combinations of torsos and legs on the portal brings a similarly matched character into the game. This means that if you are playing with someone else you need to work together to make the best possible combinations for the current challenge. Player’s collections will naturally become mixed up as they borrow and loan different parts of their Swap Force characters to each other. And with 16 of these characters there could be up to 256 combinations if you owned them all -- although that would also mean a rather empty bank account. It’s here that Disney Infinity is able to out-perform Skylanders. From the off they will provide four player co-op online play (via Xbox Live and PSN) for the main campaign and two player split-screen local co-op play to boot. Not only that but the “Play Box” game creation mode also allows for four people to collaborate with their creations online (as well as that two player local split screen mode as well). While this is in tension with the same room aspect of seeing one another’s Disney Infinity figure collection, and potentially swapping Power discs with other players, it does add another way to play the game. This is likely to mean that Disney Infinity will appeal to people turned off by Skylanders lack of online features. With this dichotomy of co-operative features between these two titles it will be interesting to see how they both do when they hit retail. 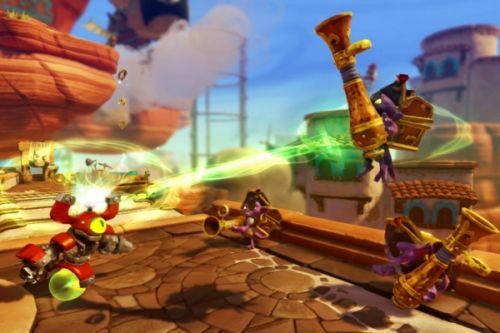 Disney Infinity is planned for release in June, while Skylanders Swap Force is yet to be dated. Andy Robertson runs Family Gamer TV and his Family Gaming website. Page created in 0.3840 seconds.